The BBC has had strong links with Birmingham for decades. It began in 1922 when Birmingham became the first UK city outside London to have a BBC radio service. In 1949, Birmingham also became the first UK city outside London to have a BBC television service. These days, Pebble Mill may have long gone and factual programme-making is no longer based at The Mailbox but the BBC retains a healthy presence in the city. In Selly Oak, the BBC Birmingham Drama Village, is home to BBC1 soap Doctors, as well as one-off dramas and series including Land Girls, WPC 56 - currently in negotiations for a second series - and Father Brown. The hugely successful crime drama Father Brown, starring Mark Williams, has been re-commissioned by BBC One Daytime and has recently started on the production of its second series. For network radio, there’s the Asian Network, and the world-famous radio soap The Archers and Ambridge Extra which has been re-commissioned by BBC Radio 4 Extra. BBC Radio 4 has commissioned its most ambitious drama serial charting life on the Home Front during the First World War. The project will run in real time over the four years from 2014 to 2018 to mark the full centenary of the Great War. The drama, which will be recorded in Birmingham and on location, will follow the lives of a series of characters as they confront the challenges and changes experienced by a nation facing its first experience of total war. In addition, BBC Birmingham is the BBC&apos;s main network centre in the Midlands, producing both local and national TV, radio and online content. Midlands Today, Inside Out, Sunday Politics and Late Kick Off all come from Birmingham, and The Mailbox is the base for BBC WM – the local radio station covering Birmingham and the Black Country. As well as the West Midlands News Online operation, Birmingham is home to English Regions New Media HQ where approximately half the BBC’s News and Sport online content is edited and managed. The Birmingham team also look after the online presence for BBC English Regions and a range of partnerships with other BBC departments and external suppliers. The Mailbox is also the headquarters of BBC English Regions, including its Controller, finance, HR, operations and engineering teams. The English Regions Broadcast Support Centre is based in Birmingham – with a team of about 40 people who have technology and engineering backgrounds. It provides a central reference area and expertise in video, audio and transmission systems for all BBC Local Radio stations and regional TV across the country. 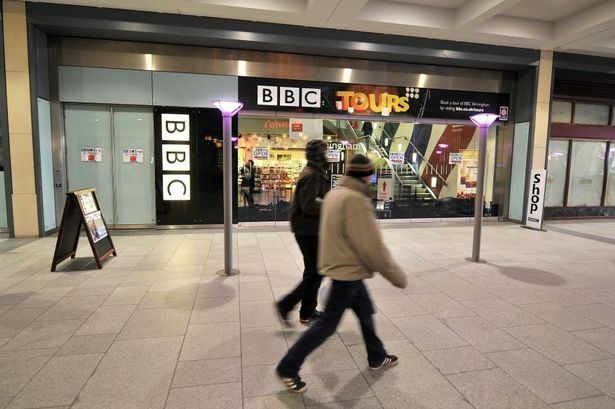 BBC Birmingham&apos;s Public Space is open seven days a week and hosts a variety of permanent and temporary exhibits. It&apos;s also the starting place for BBC Tours around the Mailbox. In addition, the BBC invests a significant amount in regional-based independent production companies. The BBC says it is committed to playing a strong role in Birmingham’s Creative City Partnership. As part of this commitment BBC Birmingham recently hosted Digital City News Day. Working in partnership with with Birmingham’s Digital Media Businesses Cluster, the BBC hosted a day of events aimed at all participants in the digital sector. The next session will focus on in-house and independent commissioning at the BBC and the types of output that the BBC are looking for. Among the more recent changes to BBC output, it was announced in October 2011 that national factual programme-making would leave Birmingham and move to Bristol. Staff were told the changes would take effect from August 2012 and be completed by the end of that year. Programmes such as Gardeners’ World, Countryfile, The Sky at Night, Points of View, Coast, Hairy Bikers, See Hear and coverage of the RHS flower shows are no longer made at the BBC studios in The Mailbox.